Steve Clarke, Minister for Municipal Affairs and Housing, announced Jan. 23, 2019, that the government will not be pursuing Schedule 10 of Bill 66. 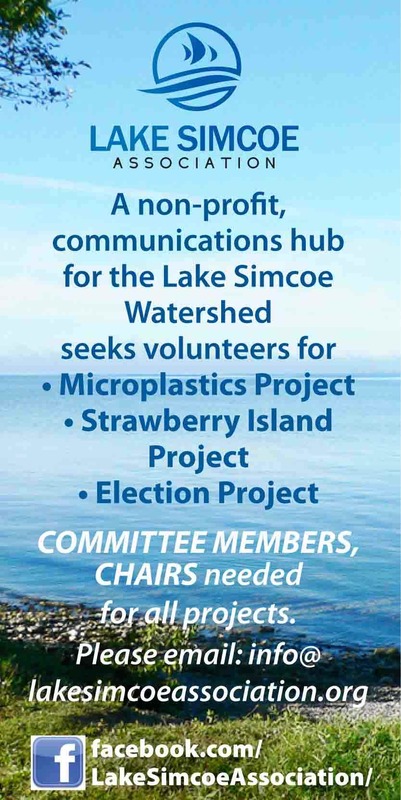 Schedule 10 would have allowed for fast tracking certain development related to employment by overriding long-standing environmental protections, such as those contained in the Clean Water Act, the Lake Simcoe Protection Plan, and the Greenbelt Act. In a media release, the Simcoe County Greenbelt Coalition, who with the Rescue Lake Simcoe Coalition, Lake Simcoe Watch and other allies across the region and province strongly opposed Schedule 10, said: "We are pleased that the government listened to concerns expressed by countless citizens, as well as community and environmental organizations, farmers federations, municipalities, labour representatives, and planning associations, among others. We saw a groundswell of support for protecting Ontario’s water, farmland, communities, and environment. "The message to the government is clear: our water and environment is a shared heritage and should not be sacrificed to benefit a few; water is core to our identity as Ontarians; good planning must include the public and be accountable to the public; and people care about their communities and want to see them to succeed in a way that ensures they continue to be healthy and vibrant into the future. "These are principles that we believe all levels of government can work from. The economy of the future is one that values a healthy environment--simple as that. "We want to thank all of the municipal politicians that showed leadership on this issue. We’d also like to thank Andrea Khanjin, Caroline Mulroney, and Jill Dunlop for meeting with us and listening to our concerns. Most especially, we want to thank the countless supporters who stood up when it counted and lifted their voice with ours. "We look forward to continuing to build a better Simcoe County and a better Ontario."